You know the story with popular game releases. They’ll release winter months one year, then roughly 12 months later they are often re-released as a “Game of the Year” or “Ultimate Edition” with the season pass and DLC thrown in. Another way for developers to grab a few extra bucks from one of their biggest hitting titles of the past 12 months. 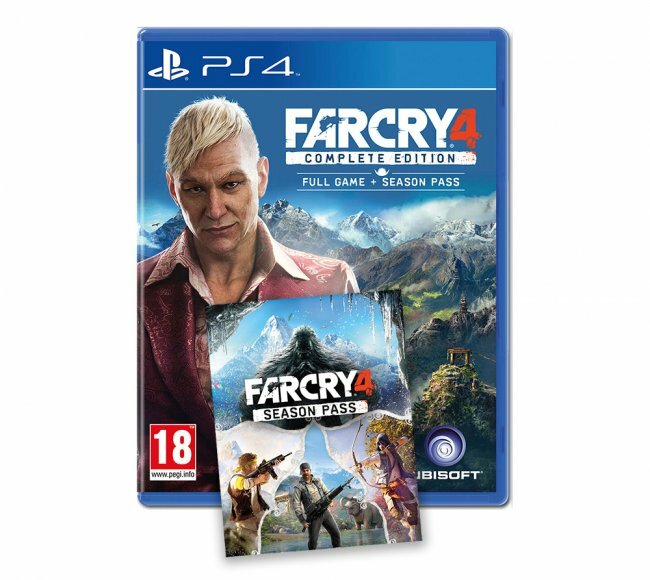 Well Ubisoft are no different and have announced (after an Amazon error) that Far Cry 4 Complete Edition will launch in June (a little earlier than 12 months old). It’ll be the original game and include the season pass with it. The biggest revelation here though is that after the leak Ubisoft confirmed the release of it but mentioned that they have no plans to launch it on XboxOne. Ubisoft got back in touch, confirming that they have no plans to launch the Complete Edition of Far Cry 4 on Xbox One. “The Far Cry 4 Complete Edition will be released on June 19, 2015 on Playstation4 and PC only in EMEA territories. We have no plans to release it on Xbox One,” a company spokesperson told us. Just to confirm EMEA means European, Middle East and African territories. So there you go, was the sales split of Far Cry 4 that drastic they saw no point in Xbox One release? Or did Sony moneyhat the deal? Why would they not release it for XB1? If the sales split was that bad, surely it would make more sense to release on XB1 as they could generate some sales? Seems like a very odd decision. Chances are it will probably happen anyway. That is odd. You’d expect a multi format release for something like this?